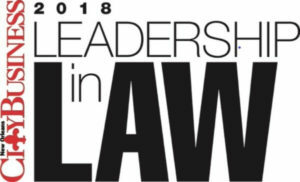 Lamothe Law Firm attorney Richard Martin wrote an article for maritime attorneys published in the recent issue of the Louisiana Association for Justice publication, Louisiana Advocate. The article is entitled “THE JONES ACT, UNSEAWORTHINESS, AND JURY TRIALS.” Read the entire article below. Because many Louisiana trial lawyers never represent a maritime client, despite there being navigable water bodies everywhere in the State, they might be unfamiliar with Jones Act negligence claims and General Maritime Law unseaworthiness claims, and when you do or do not get a jury. Under the Jones Act, a seaman has a cause of action if an employer’s negligence played any part, even the slightest, in producing an injury. Gavagan v. U.S., 955 F.2d 1016, 1018 (5th Cir. 1992). A Jones Act employer has a duty to provide a reasonably safe place to work. Daigle v. L & L Marine Trans. Co., 322 F.Supp.2d 717, 725 (E.D. La. 2004). However, liability does not attach to a Jones Act employer for injuries suffered by its employees absent proof that the injury occurred during the course of employment, that there was negligence on the part of the employer, and that such negligence was the cause, in whole or in part, of the seaman’s injury. Gautreaux v. Scurlock Marine, Inc., 107 F.3d 331, 338 (5th Cir. 1997) (en banc). Any failure of defendant to warn plaintiff of conditions of which he was, or should have been, aware is not negligence on the part of the defendant, and a seaman is obligated under the Jones Act to act with ordinary prudence under the circumstances. Gautreaux, 107 F.3d at 339. (3) Such negligence was the legal cause of Plaintiff’s damages. Unseaworthiness is not negligent conduct, it is a condition; there must be a showing that the vessel, her equipment, or crew is defective in some way. Usner v. Luckenback Overseas Corp., 400 U.S. 494 (1971). The duty includes supplying an adequate and competent crew for the task at hand. Waldron v. Moore-McCormack Lines, Inc., 386 U.S. 724 (1967). An unsafe method of work can render a vessel unseaworthy. Rogers v. Eagle Offshore Drilling Services, Inc., 764 F.2d 300, 303 (5th Cir. 1985)(citing Luneau v. Penrod Drilling Co., 720 F.2d 625 (5th Cir. 1983)). A shipowner has an absolute duty to provide a seaworthy vessel. Baker v. Raymond International, Inc., 656 F.2d 173 (5th Cir. 1981), cert. denied, 456 U.S. 983 (1982). Although the duty is absolute, it is a duty only to furnish a vessel and appurtenances reasonably fit for their intended use. Mitchell v. Trawler Racer, Inc., 362 U.S. 539 (1960). The owner is not obligated to furnish an accident-free ship. Id. (2) Proximate cause, that is, that the injury was either a direct result or a reasonably probable consequence of the act or omission. C. DO I GET A JURY? If a plaintiff brings a Jones Act claim in federal court and does not designate it as one “in admiralty,” he is entitled to trial by jury. A plaintiff asserting a Jones Act claim in state court also has the right to trial by jury. iii See, 46 U.S.C. § 30104. Trial by jury of “savings to suitors” claims in state court turns upon state law. See, Linton v. Great Lakes Dredge and Dock Co., 964 F.2d 1480 (5th Cir. 1992) and Lavergne v. Western Co. of N. Am., 371 So.2d 807 (La. 1979). La. C.C.P. art. 1732(6) formerly provided “savings to suitors” plaintiffs with the option of a jury trial or a bench trial such as plaintiff would enjoy in federal court, but it was repealed in 1999. See, Act 1363 of 1999. If federal jurisdiction is founded solely upon 28 U.S.C. § 1333 (admiralty and maritime claim jurisdiction), the parties are not entitled to trial by jury. This includes the general maritime law claims for unseaworthiness and for failure to pay maintenance and cure. However, when a Jones Act claim is asserted on the “law” side of federal court and is joined with an unseaworthiness claim or a maintenance and cure claim, as to which there is no independent “law” side jurisdiction, all of the claims may be tried together to a jury. See, Fitzgerald v. United States Lines, 374 U.S. 16 (1963). A seaman’s burden of proving causation in a Jones Act negligence claim has been deemed “slight,” as a seaman must only show that “his employer’s negligence is the cause, in whole or in part, of his injury.” Gautreaux, 107 F.3d at 335; Comeaux v. T.L. James & Co., 702 F.2d 1023 (5th Cir. 1983). However, the Jones Act defendant does not have a right to a jury trial. See, Rachal v. Ingram Corp., 795 F.2d 1210 (5th Cir. 1986).